An E. coli outbreak affecting romaine lettuce has expanded to 22 states, and the Centers for Disease Control and Prevention has expanded its advisory for the scourge of contaminated lettuce. The outbreak, which has been linked to farms in Yuma, Arizona, had previously sickened at least 53 people across 16 states, the agency reported earlier this month. As the latest reports convey, though, it's only getting worse before it gets better. Currently, the number of victims has crested 98 people sickened throughout 22 states, with nearly half of all cases requiring hospitalization, according to the CDC. "Forty-six people have been hospitalized, including 10 people who have developed a type of kidney failure called hemolytic uremic syndrome," the agency notes. And it might be kind of hard to verify if your lettuce came from Arizona! As the CDC writes: "Product labels often do not identify growing regions; so, do not eat or buy it if you are uncertain about where it was grown." To be doubly cautious, the CDC basically warns against consuming any kind of romaine, just to ward off the chances of falling dangerously ill. The list of romaine to avoid "includes whole heads and hearts of romaine, chopped romaine, and salads and salad mixes containing romaine lettuce. 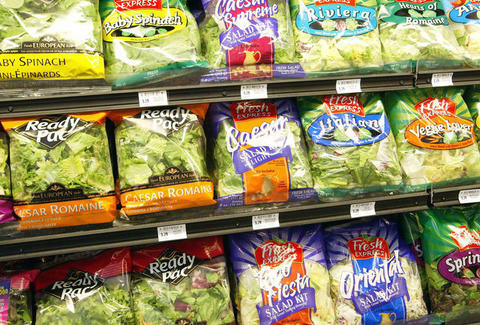 If you do not know if the lettuce in a salad mix is romaine, do not eat it," the agency says. The number of states affected, which was previously 16, now includes Alaska, Arizona, California, Colorado, Connecticut, Georgia, Idaho, Illinois, Louisiana, Mississippi, Michigan, Missouri, Montana, New Jersey, New York, Ohio, Pennsylvania, South Dakota, Tennessee, Virginia, Washington, and Wisconsin. As previously reported, this particular outbreak concerns Shiga toxin-producing bacteria, which the CDC says causes diarrhea, vomiting, and cramps among other symptoms. It usually takes about one week to recover, although in some cases hospitalization is required. Needless to say, you might want to stick to kale for the time being.